Eggs are rich in protein and include all the amino acids the body needs which helps to preserve lean muscle and create a feeling of fullness. 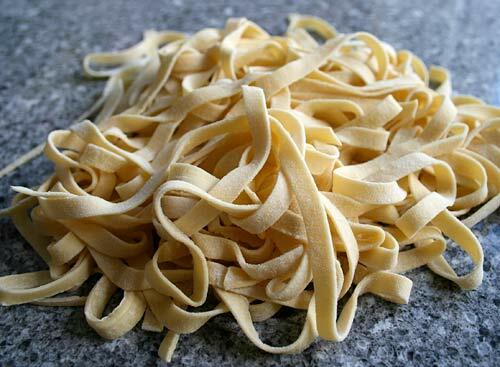 Making your own pasta at home is much easier than you would think! Mound the flour onto a large board, making a hollow in the center. Break the eggs one at a time, mixing the egg into the flour with a fork. Once all the eggs have been incorporated into the flour, begin to knead with your hands until the dough is stiff and elastic. Cover with plastic wrap and let sit 30 minutes before using.